When it's 110 all you can do outside is swim. 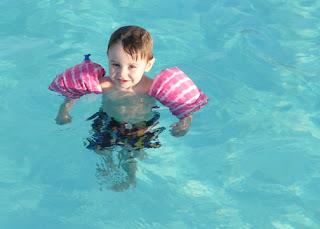 Some recent photos of the kids swimming. Who do you think Sam got his floaters handed down from? !